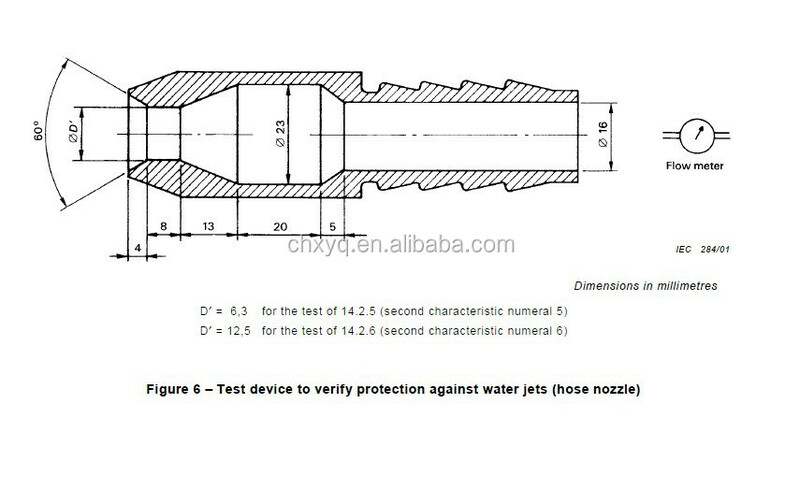 IEC60529 IPX5 and IPX6 Hose Nozzle Tester The interchangeable nozzles assemble easily to the jet handle. The nozzles are made from stainless steel. 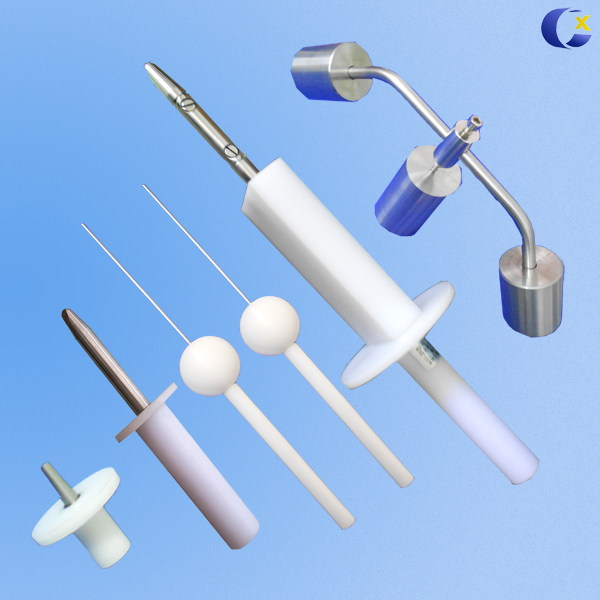 Test Set consists of a jet handle that is equipped with a pressure gauge and an easy-to-adjust flow valve. Water supply Water flow rate > 12.5L/min±5% clean water witho ut inclusion. It can be achieved by the stainless steel water tank and pressurized equipment. Water flow rate > 100L/min±5% clean water witho ut inclusion. It can be achieved by the stainless steel water tank and pressurized equipment. Water flow 12.5±0.625L/min, Flow meter is adjustable. 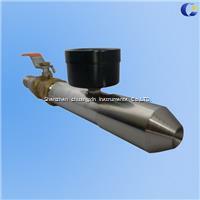 100±0.625L/min, Flow meter is adjustable. Environment requirements Dedicated IP waterproof test room whose width is more than 3m, With good function of inflow and drainage. Wall installation. Include Pressure gauge, Stainless steel nozzle IPX5 and IPX6, Valve for water flow regulation and shut off, Hose connector.